Here is a quilt idea that had been buzzing/rattling around in my head for a while and I’m pleased to say that the pattern is now ready! 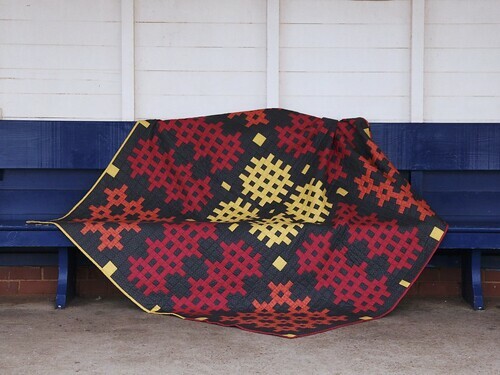 This pattern is based on the traditional Caernarfon design that has been used for centuries in the weaving of blankets in Wales. I’ve translated it into fabric and am really delighted with how it looks. 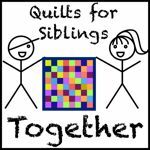 The quilt is made using strip piecing, so while it looks fiddly and complex there is no actual cutting of 1.5″ squares (aside from the one in the very middle of the quilt) and it therefore comes together quite quickly. 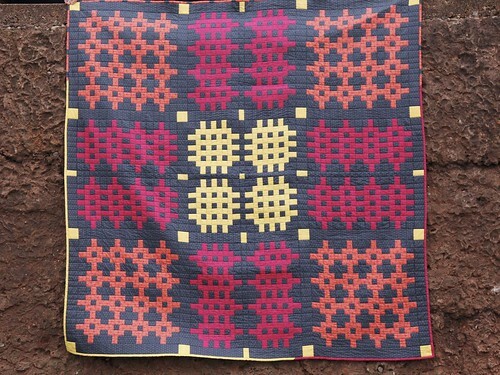 Visually I think this adds texture which mimics a woven blanket and I struggle to use just solids in a quilt! 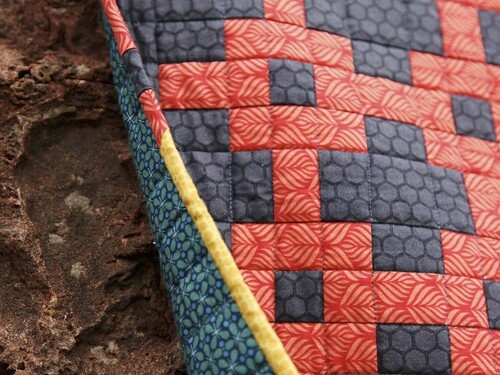 I quilted using Aurifil 1158 in 40 weight and it worked beautifully, I love how that the slightly heavier weight thread adds more definition to the quilting. I finished binding this quilt just after Christmas and gifted it to my husband, it’s the first quilt I’ve made for him, (but yes he does make use of others in the house, he’s not been sat there shivering for the last 19 years!) it’s thanks to him that this has happened really, he has supported and encouraged me to do it, for this I am really thankful. 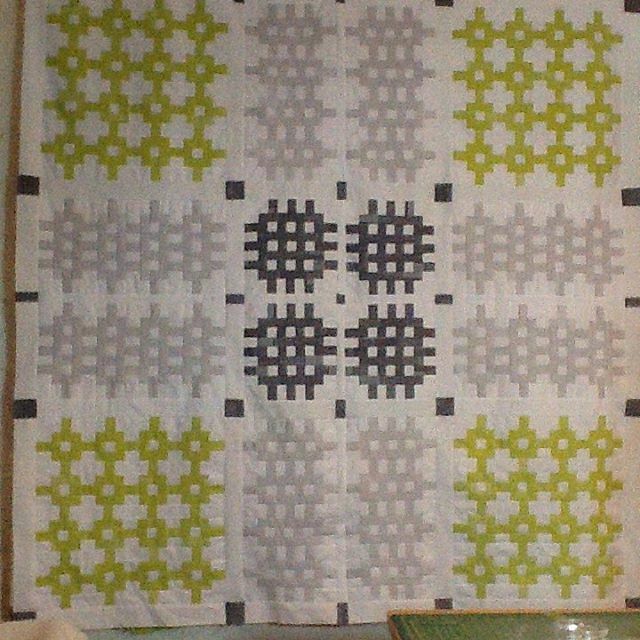 The finished size of the quilt top is 68.5″ x 68.5″, it fits wonderfully on the top of our double bed but would also be great as a sofa quilt. Thanks very much to my great pattern testers. 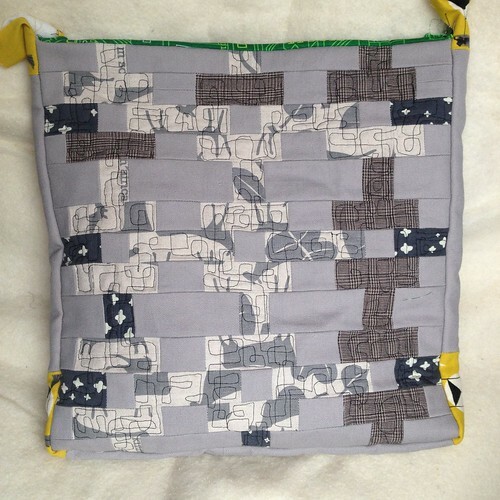 Nicky somehow managed to make one complete quilt: and another top in Karen’s Blueberry Park fabrics: Joanne made a quilt top using pillow cases, a sheet and a bit of a duvet cover: Lotje made a 3/4 version of one of the blocks and used it to make a bag! I love the scrappiness of it. 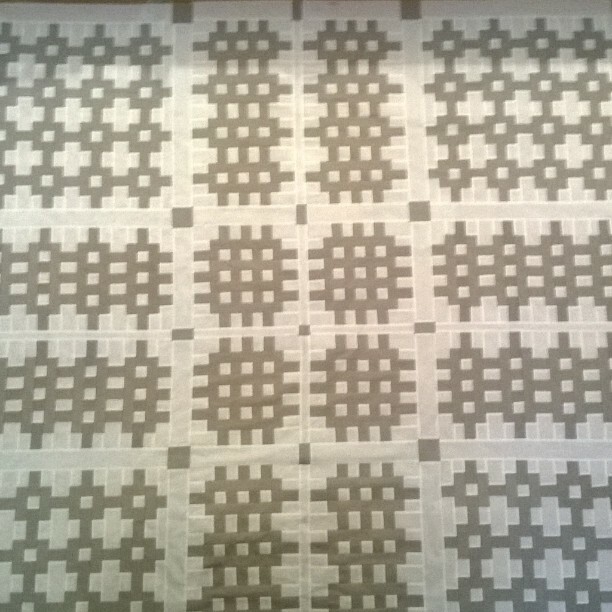 I’m dreaming about how gorgeous the pattern would look in Oakshott fabrics too. Non EU residents on Craftsy. 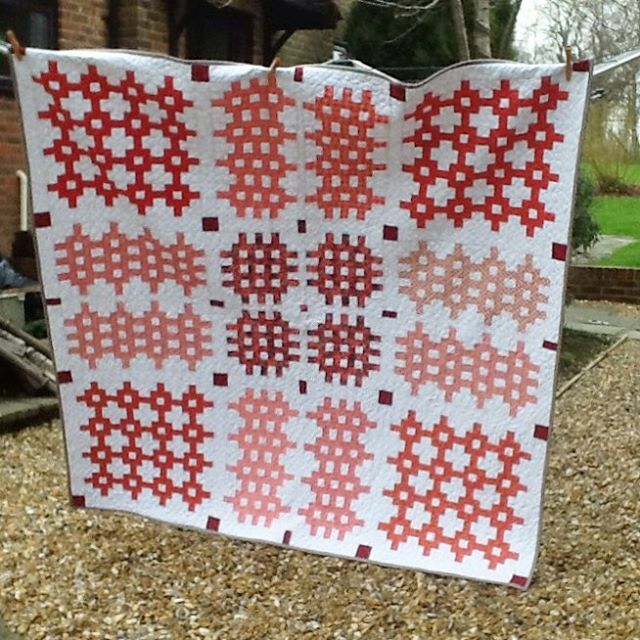 really love your pattern – every one of those quilts/tops/versions looks gorgeous – I love Nicky’s colourway and the red and white is what I might try ! It is stunning Mary! I love all the variations and I really like your tone on tone fabrics, they do look like solids from far away but add a lovely sense of texture. Beautiful! 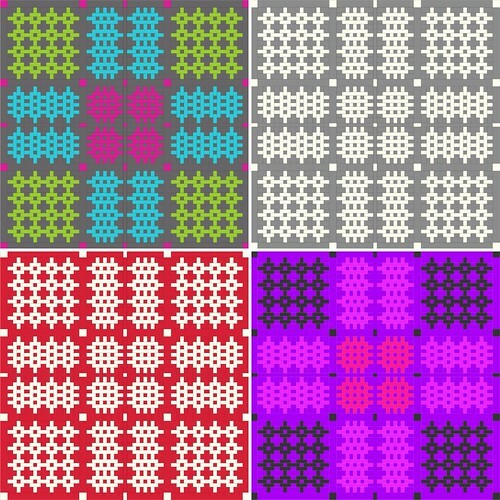 I can’t wait to see more versions of this pattern!